YourDanceChannel is dedicated to all dancers, everywhere. 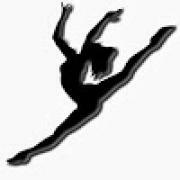 The purpose of our channel is to promote dance, and showcase talented dancers. We take requests, so go ahead- we appreciate our requesters very much! When you message YourDanceChannel to request a video, please put "REQUEST" in the subject. Note: we are currently only uploading videos with the permission of the dancer/ teacher/ choreographer/ studio owner. You can also send us videos of yourself dancing to upload onto our channel by email- MESSAGE US TO LEARN MORE, with the title "NEXT"! Lucas Triana Improv at Intrigue!